I have been wanting to try out OGX for the longest time and this set couldn't have arrived at a better time as my hair as been in serious need of some hydration! OGX products are pretty affordable and easy to get hold of, Superdrug stocks them online and I always love that they offer free delivery but I have also spotted them in my local Tesco store! These three products are going to get your hair looking healthier than ever! 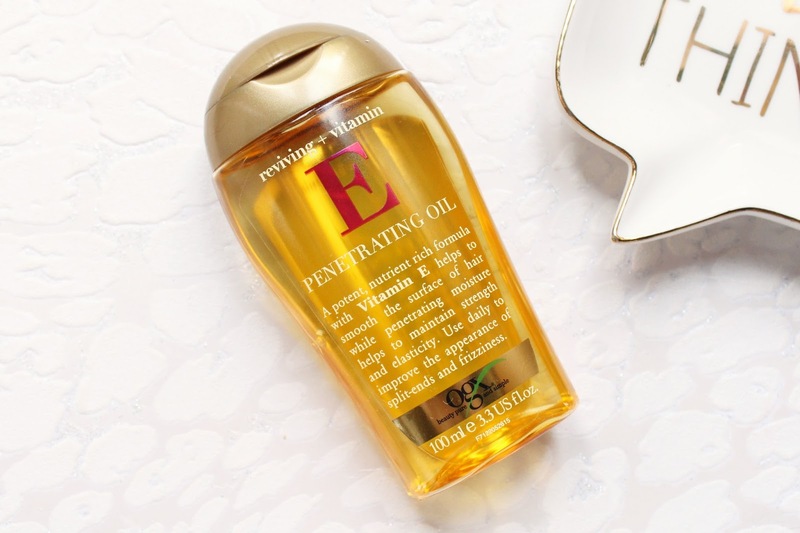 Each of the products has been enriched with Vitamin E to help smooth the outer layer of the hair while helping to fuse split ends, healing the hair and adding nutrients back into your hair to get it looking and feeling healthy once again. I have always been quite fussy with my hair care as I don't like anything that leaves any residue in my hair and these get a big thumbs up from me! The Shampoo and Conditioner have been what I have been using to wash my hair for the past couple of weeks and I have really enjoyed a difference. The shampoo is very moisturising on my hair without weighing down the roots or leaving my hair feeling sticky and the conditioner is brilliant. It adds so much hydration into the mids to ends of my hair and leaves my hair looking glossier than ever! Since I have been using these two as well as the oil, I have noticed my hair to feel so much stronger, especially on the very ends of my hair which have quite a few split ends and where I have the most damage. I can't get enough of hair oils and the Penetrating Oil from the range is fantastic for incredibly dry and damaged hair. I take just a few drops of these to damp hair and distribute it through the mids to ends of my hair, the same sections where I would condition and it always leaves my hair feeling astonishingly soft! I do have to be careful not to apply too much as it can leave a slight residue in my hair if I am not careful. I have also noticed that this adds shine to my ends too which usually look like dull! 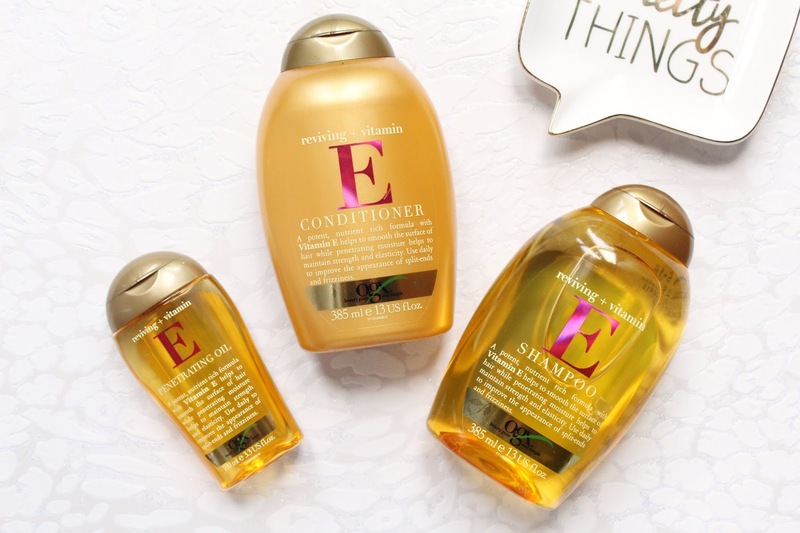 One massive difference I have noticed in my hair since using these three products, besides the softness and strength my hair now has, is that my split ends look much better than they did before! My hair looks super smooth and these products give me everything I am looking for in hair care products! 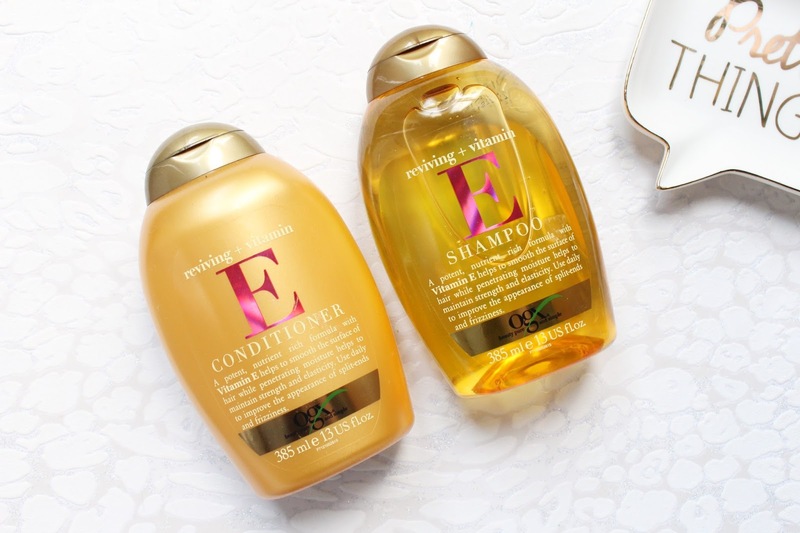 The OGX Healing + Vitamin E Hair Care range is available at Superdrug - HERE.